On cold winter nights in Maine, my parents would pull out the slide projector to click through vacation slides of Florida. While I was too young to remember the trip, the incessant replaying made Florida a myth. Rose-colored re-telling, the talk of “balmy nights,” palm trees, and saccharine artificial landscapes made me believe it was Shangri-La. Since then, I have been searching for that paradise of my childhood imagination. Svetlana Boym writes in The Future of Nostalgia: “Modern nostalgia is a mourning for the impossibility of mythical return, for the loss of an enchanted world with clear borders and values…”. I am nostalgic for a paradise that doesn’t exist. A visit to a natural paradise is often an improbable search for the “authentic” constructed in our minds; shaped by personal baggage and expectations. Nature is often characterized as bountiful and ever-present, but the idealized version of Mother Nature is only available to those with the means to manufacture it or claim it outright. The paradise we dream of is often beyond reach—both financially and geographically. This body of work plays off of our collective nostalgia for an idealized natural world. The work celebrates the American idea of the exotic along with sublime qualities of nature. Icons such as tropical drinks, pool floats, and grass skirts are fabricated to exemplify an escape to vacationland. 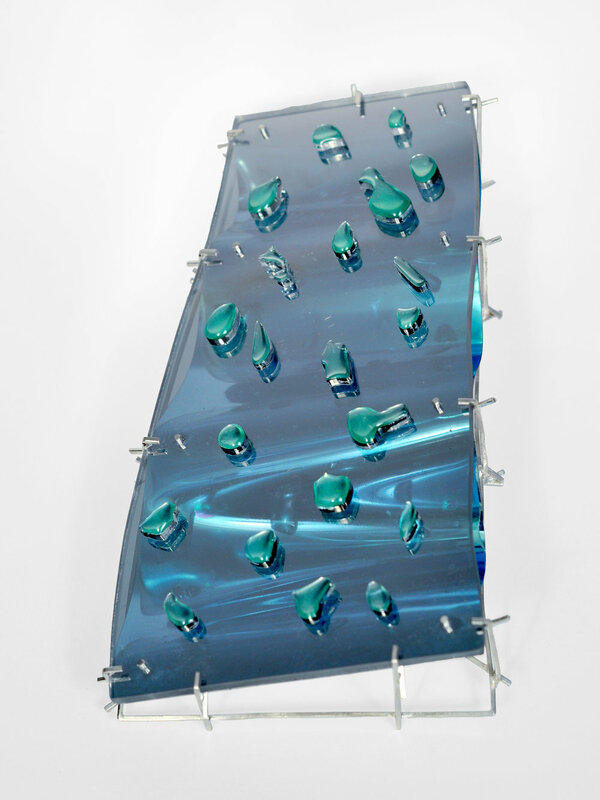 Elements in nature that provide us with the most satisfaction are rendered in man-made materials such as colored mirror acrylic and mylar - mimicking ephemeral effects of light and water. 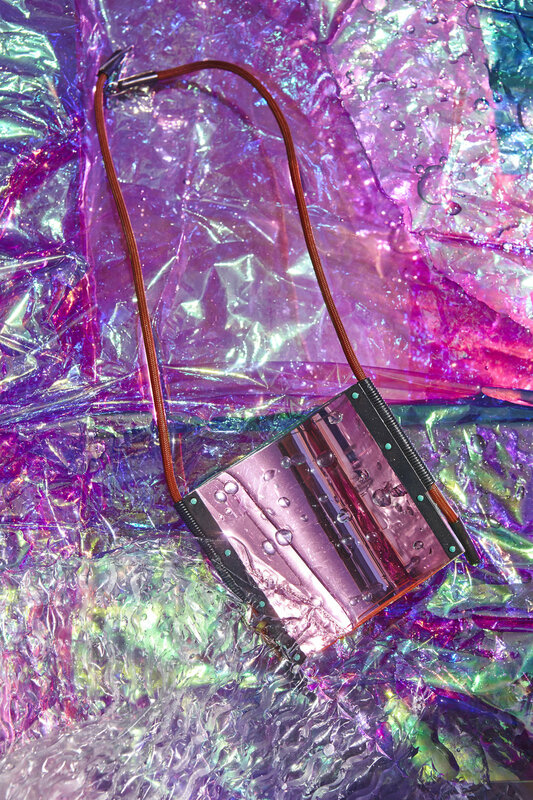 The reflections create rose-tinted echoes of the landscape around the wearer— a stopgap method of trapping an experience. 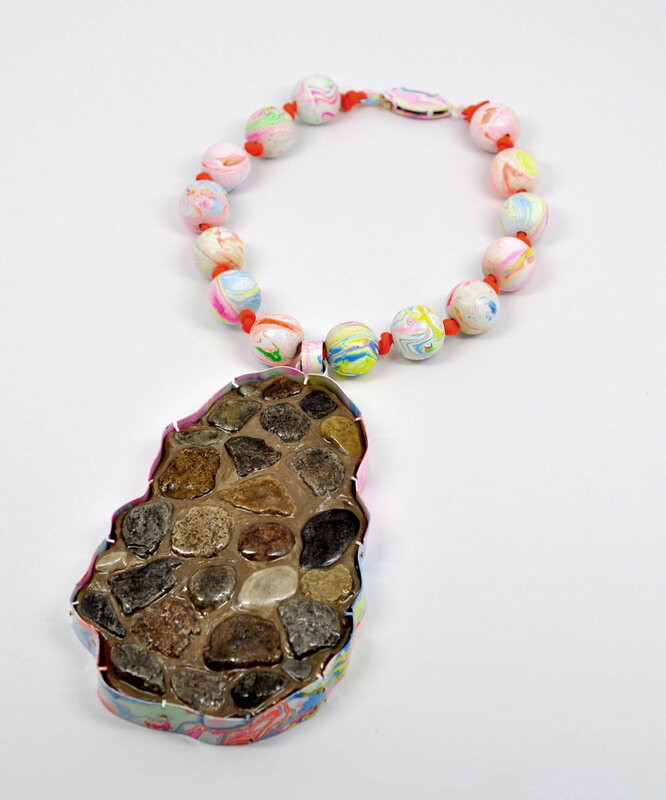 This jewelry operates as a portable device, a sentimental exhibition to consciously establish identity. In a form that has historically been a projection of wealth, status, and symbolic power, these adornments project who the wearer would like to be, and the world they wish to be in. 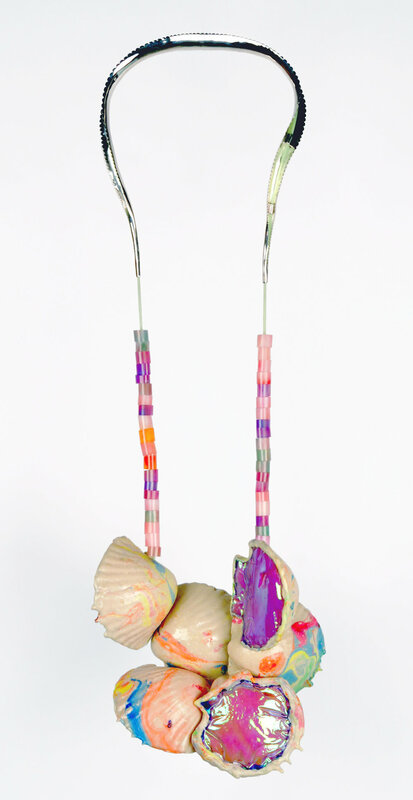 Created from expectations, desires, and inherited beliefs of paradise, these pieces are jewelry souvenirs from an environment that does not exist. They are part nostalgic fantasies informed by the décor of my childhood, but are also imbued with the realization that these fantasies will likely never be met. They embody the failure to represent a place, the endless search for catharsis, and ultimately, an escape from reality. We are left with a bogus, ersatz-sublime souvenir to reflect upon it. As Hermann Broch, the Austrian novelist wrote: kitsch allows contemporary man to “recognize himself in the counterfeit image it throws back at him and confess his own lies (with a delight which is to a certain extent sincere)”.